Might be worth downloading those pictures, in case the policy changes back! Thanks Terry, strange though as I haven't paid $20 for the privilege. So maybe coullstar is correct with there being witchcraft involved. The message in the link states that pics have only been restored for a limited time. If you don't sign up for the $20 a year subscription they'll probably disappear again. $20 is pretty reasonable, I'd not think about it at that price. I hope you have an Instagram page for the car ? How do you find the lwfw ? How about some updates Richard? We would love to know how things have progressed this year, and what has worked and what required re-working. 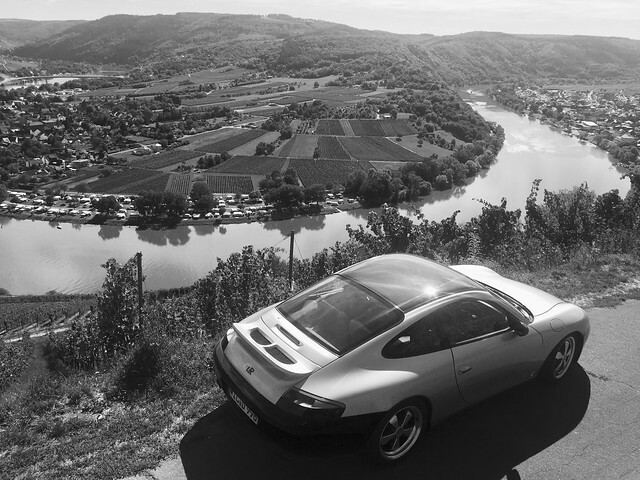 I have managed to buy a set of your modified coffin arms which are now on the back of my 996. I'm not sure how much better the car is because I fixed an alignment problem at the time that fitted them, and how much is down to your arms, and how much is down to the badge effect of knowing I have a CLR component on my car. Either way, it's better. The sad truth is I have driven a grand total of 372 miles this year and probably less the previous. My current job is a 24/7 monster (5 days last week in Instanbul, urgent issues all weekend, that sort of nonsense); I’ve just had a recent death in the family so to be honest it has made me look at life from a different angle and I am seriously considering a complete change. Selling up properties and as ridiculous as it sounds also selling my beloved CLR project. I’m thinking of taking a good few years off work and enjoying life. I’ve put everything I have into this car over the last few years and it pretty much took over every thought I’ve had. It’s difficult to take on a project of this nature and not give it your all. The car itself is difficult to describe in words. It is the most exciting car I have ever driven, and leaves me with this feeling of I’ll never be able to truly master it. It is just so raw and alive with levels of involvement that just leave me feeling scared, but in a good way if that makes any sense. Of course there are little tweaks here and there, that if I had the time I would look into, but in the grand scheme of things these issues are insignificant: like a squeak from a seat, fine tuning suspension setting… All of the hard work is done and the car is off the charts as a drivers car. I totally understand where your coming from. I found cars do tend to take over and as much as I love them and love mucking about with them I have to consistently remind myself that family and friends are more important than the lump of metal sitting in the drive. Amen to both the above posts Rich and Graeme. Not the update I expected Rich and sorry to hear of the family bereavement. What you've done with the car and your whole CLR brand is awesome and whilst hugely rewarding it has ruled your life whenever your "proper" job hasn't. I guess you're at a crossroads and have some soul searching to do. I can totally relate to it though. We are all petrol heads on here and I know speaking for myself, that whenever I'm not working on my car or driving it, I'm researching the next mod or looking at what car or bike I could buy next. Trouble is you look around and a year has passed, then another, then another. Life flies by! I'm 41 now yet my boyracing days when I was 18 feel like barely a few years ago! And the more you try and slow time down, the faster the years click by. I'm addicted to cars and bikes, in fact most things with wheels to be honest but like Graeme says family and friends take priority over a car. These cars are great but it's about where they take you and who with, rather than the car itself. I've enjoyed making mine the car I want it to be, but from now on it's about trips and what I do with it. It's a total cliche that we are only here once but we are. It sometimes takes a loss or a health scare to realign your priorities. I know it did with me. So whilst I'll always love cars, real life takes priority everyday of the week now. Cars are great for when everything else in life is going tickety-boo, but how often is that? Now if I can crawl around the garage floor under the car, or take the dogs for a walk with my wife, I try and do the latter. Good luck Rich and keep us posted. Sorry to hear that you are having a bit of a time of it. I went through similar upheaval in the last few years, a divorce and my old man passing, and decided on big changes. I sold off a load of stuff and moved countries. On the whole I'm glad I did and I'm happier for it. The one thing I miss though is taking out my SL, putting the roof down and blasting through the mountains down to the coast for tapas and to ogle the bikinis. I miss that car, and I didn't modify it at all. I'd wager you would come to regret selling the CLR... miss having something so familiar. Maybe you could just decide not to do any more to it for a few years? Keep it as is, and just enjoy it. 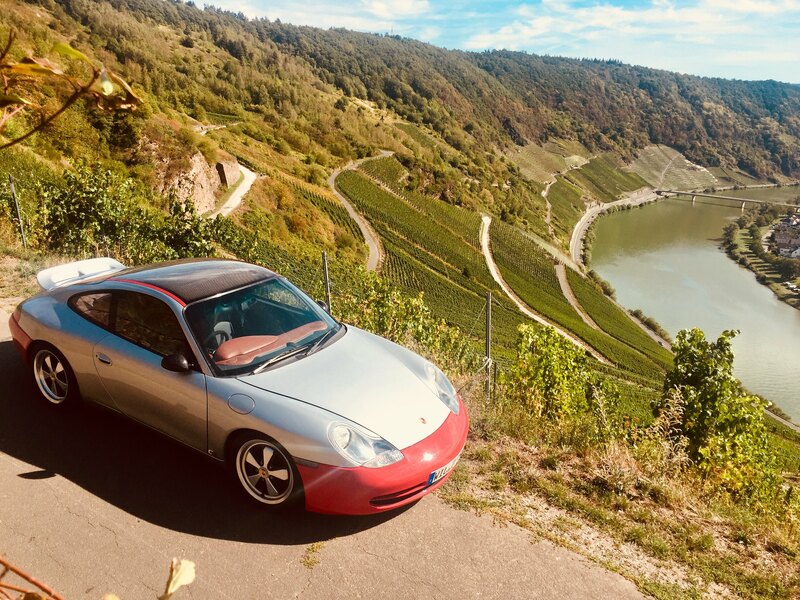 I'm now into my 8th year with my 996 and in that time I have driven the most wonderful and rewarding 18574miles I could ever have imagined. Even on the first day of ownership I was doing a cross continental tour to bring it home. A few months later a family trip to Italy via Stelvio, which to date was probably my most memorable drive. The funny thing is though, for me, and I admit I may be a bit strange; the tinkering is probably more important and rewarding than the actual driving and trust me, driving is one of my biggest passions in life, just like all here I'm sure. As a true petrolhead, until the day I die I'll never be able to shake off the desire for certain cars and some of them to most will probably seem a little odd (Mk1 MX-5, Mk1 Elise, Honda NSX, Mk4 Supra, R32 GTR, 987 Boxster Spyder, Ultima, Caterham 7 to name but a few). The 911 was never really a car I had looked into before buying one but the journey I've had has been something very special, and I am honored to have been lucky enough to spend the time doing something so rewarding that few will ever have the chance to. Park it in the garage, throw a sheet over it until some point in the future. It will always be there, be part of the journey as a petrolhead. Sometimes it's good to unplug (speaking as somebody who has unplugged for a while). Indeed - thanks for the kind thoughts people. Car needs some 'recommissioning and I have some stuff planned which I will (of course) document. Young man .. as you well know i dont reply to questions that are not car related but im making an exception here as its you ! Talk to your wife .. she will know you probably better than you know yourself .. i know mine does anyways ..
See what she suggests . I wish you well reguardless and its been a pleasure either reading about your work or chatting to you . Echo the sentiments expressed by all here. This thread has to be one of the most read and replied to on the whole of 911UK and an inspiration to many, including non-members and those that have got here by a google search etc. Whatever you do, this thread is a great reference point of information that will inform and educate many people you will never know or meet. - Nice one. demort, your advice and knowledge to this forum is one of our greatest assets. Now you may have stepped out of your normal tech support role on this occasion but trust me, what you suggested has indeed shocked me. Bear in mind for years whilst I've been fannying around in the man-cave, I've had nothing but threats of divorce etc, she actually said I cannot sell this car; it is like a child to me. Her words honestly! 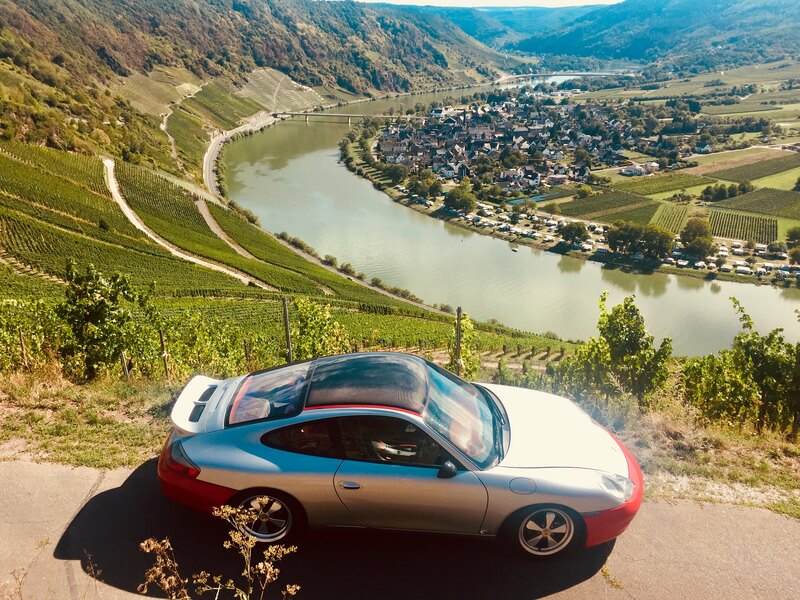 This response was totally unexpected so it looks like I may be out of jail To top it off, I had a trip to Spa and the NBR with friends this weekend, followed by a little guided tour around my local Moselle region and I was overwhelmed with just how special the car is. It must be a sign. That's good to hear Rich. You're wife sounds like a good'un too. Always good to have them onside. Happy wife equals happy life.